Lamar Odom is furious that his ex and her family have made him an ongoing story line on Keeping Up with the Kardashians. Nearly eight months after Khloé Kardashian filed for divorce from Lamar Odom, the two are still technically married. 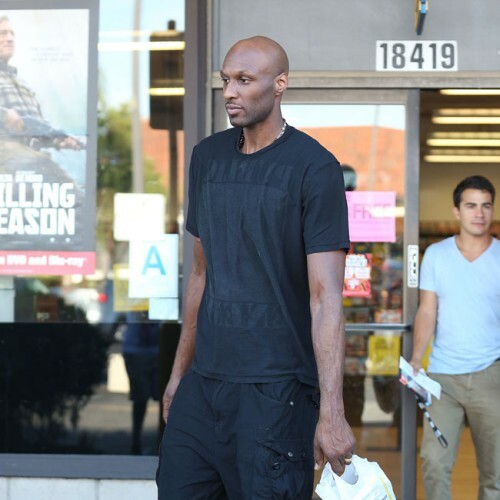 But as Odom attempts to disentangle himself from his estranged wife and make an NBA comeback, RadarOnline.com reports that he’s furious that his ex and her family have made him an ongoing story line on Keeping Up with the Kardashians — even going so far as to “set him up” to get him in front of the cameras. The site reports that Khloé has referenced her crumbling marriage all season, but on this Sunday night’s episode of KUWTK Odom will actually make an appearance as the show features the incident from May when the NBA star was denied entry to a club where Khloé’s bad boy rapper boyfriend, French Montana, was performing. In preview clips, Khloé acts surprised by Odom’s presence, but insiders tell Radar it was all an act.